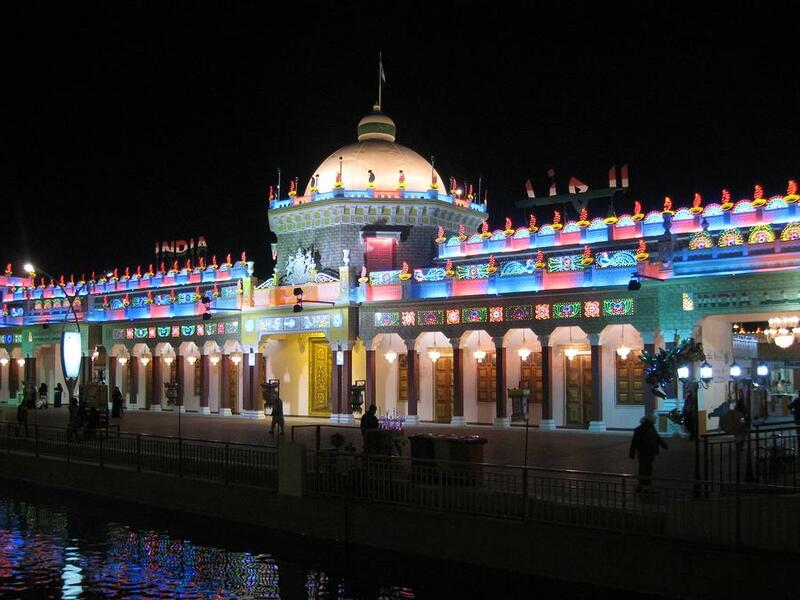 One of Dubai's most popular tourist attractions, Global Village is a unique annual cultural and tourism event that offers an exciting range of multicultural retail pavilions and entertainment. Popular with families, Global Village began in 1997 and has since moved around a few locations within the city but has now found its permanent home on Sheikh Mohammed Bin Zayed Road on the outskirts of the Dubai Land complex. Global Village is home to a number of popular attractions including the kids play area, express train, funfair ground and the traditional Abra (Dhow) that immerses visitors in Emirati tradition on the waters of the central lake. Taking place between November to March, Global Village has continued to grow in size and popularity over the last 17 years. Originally host to just 18 international pavilions, the event has expanded to more than 37 pavilions as well as a number of additional culinary attractions and entertainment with more being added as each season passes. The ideal way to discover a range of countries and cultures, Global Village features amazing live performances, traditional handicrafts, authentic cuisine, thrill rides, fireworks and much more. The 18th season of Global Village will run from October 5 2013 to March 1 2014 and will offer 148 days of international opportunity. Open 7 days a week, the park operates from 4pm to midnight Saturday to Wednesday and 4pm to 1am Thursday and Friday, with Monday's dedicated to families to allow parents and children some quality time in the park. In its previous 17th season, Global Village featured over 200 shops, 30 restaurants serving a range of international cuisine and 37 pavilions which represented over 65 countries throughout the world. The countries represented in the last Global Village include Afghanistan, Bahrain, Africa, China, Forsaty, Egypt, Germany/UK/France, Jordan, India, Khalifa Foundation, Iran, KSA, Italy, Kuwait, Malaysia, Lebanon, Oman, Morocco, Pakistan, Qatar, Palestine, Singapore, Philippines, Spain, Thailand, Syria, Turkey, UAE, Tunisia, Yemen and Vietnam. These countries also feature on the World Culture Stage, an attraction that is host to concerts, performances and activities.